In a first, a historic award function has been launched in order to recognise and honour die-hard fans of cricket at the 2019 ICC World Cup. 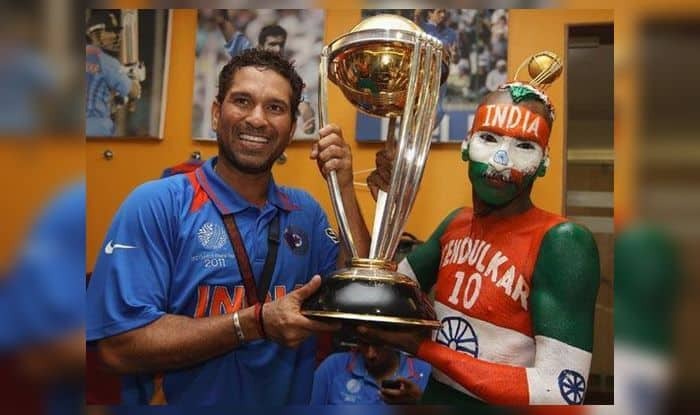 An initiative of Indian Sports Fan (ISF), the glittering ceremony will take place at the Eccles Town Hall in Manchester with Sachin Tendulkar’s iconic fan Sudhir Kumar Gautam being the first recipient of the award along with four other fans. Speaking on the global initiative, UK-based Indian Sports Fan representative, Kuldeep Ahlawat added: “Indian Sports Fan has emerged out of passion connecting all fans from across the world. Revering fans is our greatest endeavour and Global Sports Fan Awards is the reflection of it. For the first time ever, we have come out with a concept to honour the biggest and greatest fans which in itself is a historic moment. With the aim of promoting sports worldwide, we carried a unique photo exhibition in the UK during the 2018 Hockey World Cup, honouring Indian women in Hockey. The historic award function is in recognition of individual contribution of fans who have spent over a decade in serving their favourite teams. The award will host five jury awards including three upcoming fan categories, all pertaining to individual efforts in fandom.